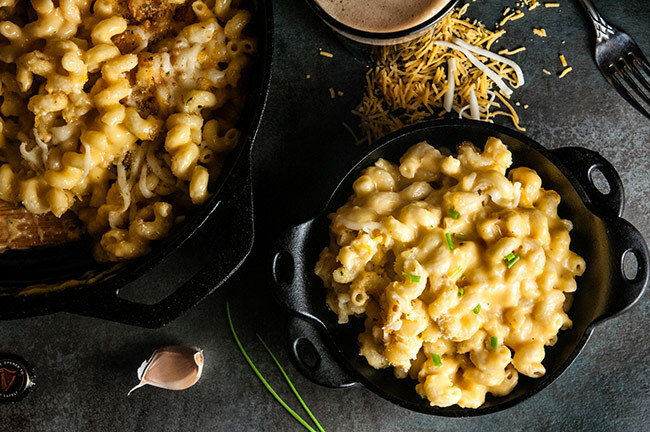 I know I say this a lot, but this beer cheese mac and cheese might just be the best thing I’ve eaten lately. And yes, I felt the exact same way about this French onion chicken and still do. This is the best quick, cheesy carb fix I’ve had lately. I mean, helloooo. Beer cheese. 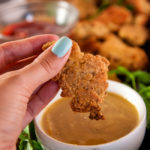 We’ve made this beer cheese at least 3 times since we made it for our Philly cheesesteak sliders. My husband once even made me a breakfast hash with scrambled eggs, peppers, onions, and potatoes and covered the whole mess in beer cheese. My word. That man just gets me. To the point where he’s not only making me breakfast because I am so not a morning person but he’s actually covering said breakfast in beer cheese. I hope my daughter marries someone like him. This beer cheese is literally the best thing I’ve ever eaten. 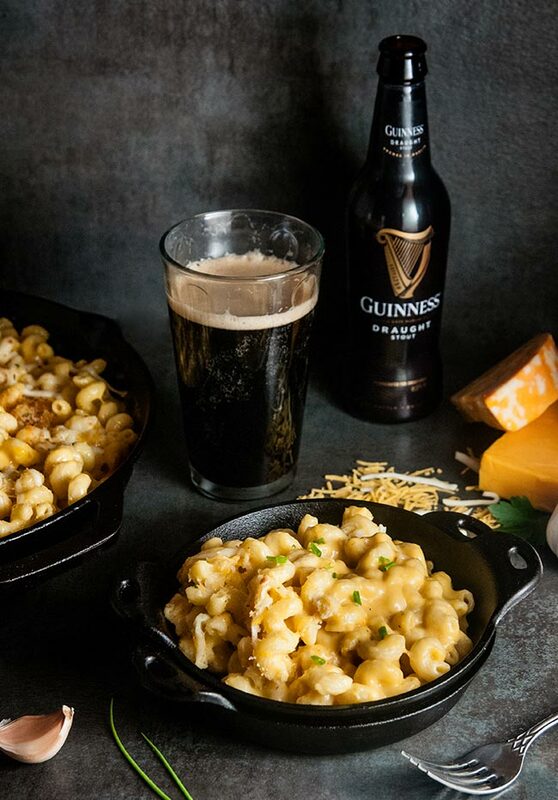 So this beer cheese mac n cheese is sort of St. Patrick’s Day inspired since it is finally March. Thank goodness this never ending winter is finally over. So obviously the beer of choice in the cheese sauce is none other than Guinness. 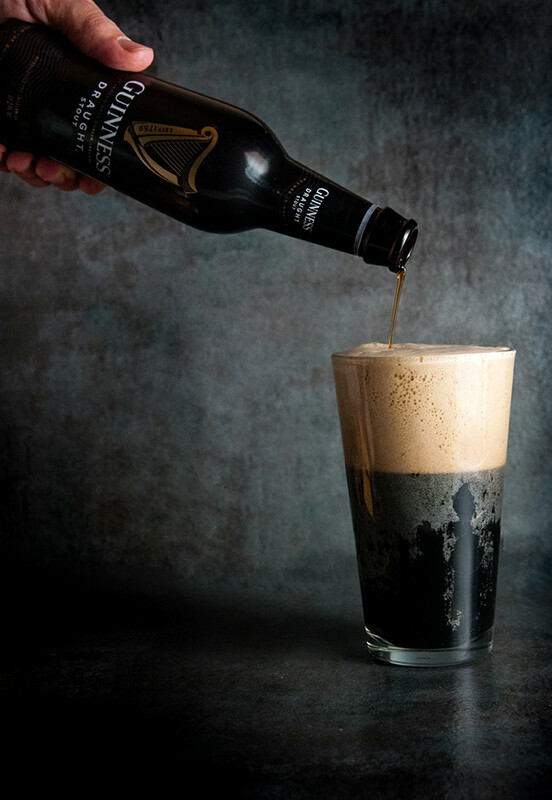 Now don’t feel like you have to use Guinness if that’s not your thing, but I will say Guinness and St. Patrick’s Day and all things Ireland go together. I have vivid memories of traveling to Ireland when I was 16 on a school trip and Guinness. Now it’s not my taste for drinking- believe it or not- I am not a huge fan of drinking beer. I’m more into sparkly cocktails. But it is FAB for making beer cheese. And beer cheese is fab for everything. I mean I want to dip huge hunks of bread into it and sop up all the cheesy goodness. Putting it on pasta seemed natural. 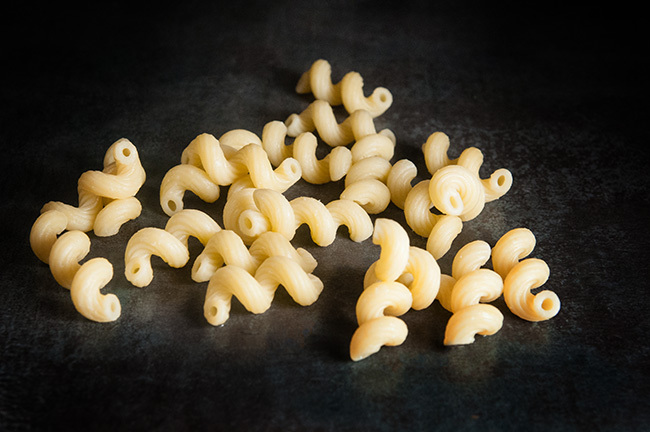 And this cute cellentani pasta is the perfect pasta for it. The beer cheese clings to all the bends in this twisty pasta. Of course you could use elbow macaroni or even penne. But I just loved the spirals. Too cute. 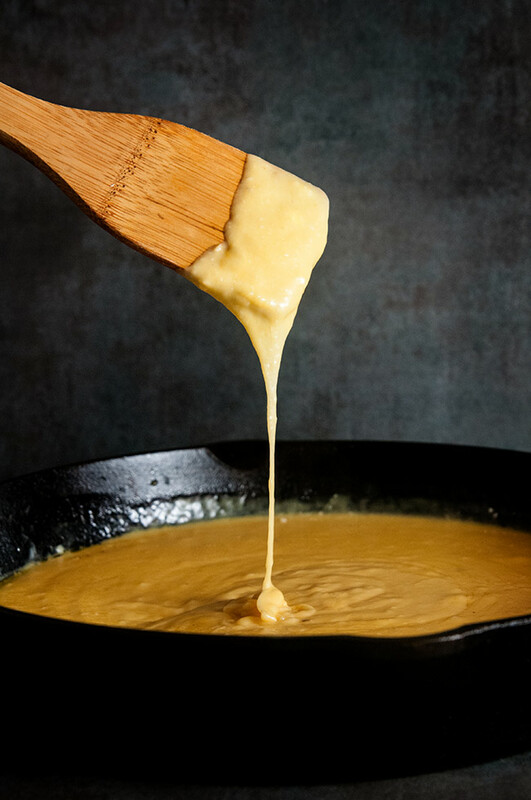 Then you cook up the pasta, add it to the pan with the beer cheese and then top it with more cheese. Yep more cheese. Because cheese. Perfect thing to eat this weekend. 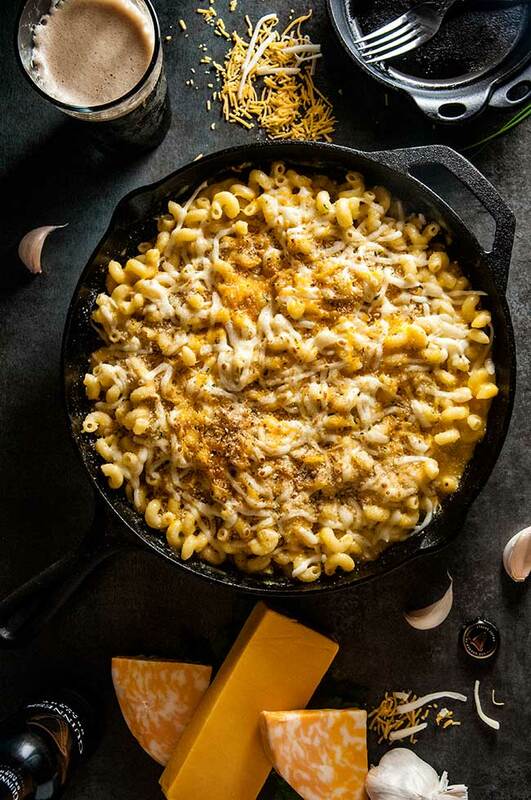 Easy beer cheese macaroni and cheese makes a delicious meal or side dish. Boil water and cook noodles according to directions on box. In a large cast iron skillet, heat olive oil over medium heat. Drain pasta and add noodles to pan, mixing in as added. Sprinkle some additional cheddar and parm cheese on top of noodles. Add dusting of bread crumbs. Set oven to broil and broil for approximately 1 minute or until it is starting to crisp up. * We used Guinness this time but have made beer cheese with other beers as well. Use whatever you like. 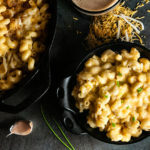 I love beer cheese so I know I will love Beer Mac and Cheese! Its a double-fecta (If that is a word). Oh yes, pasta, cheese, and beer what’s not to love. 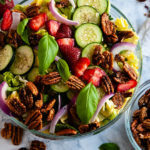 This looks so good and delicious. I guess I have something to make this weekend. 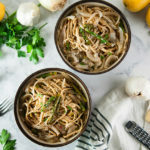 I’ve pinned this and I’m totally making this for dinner. My trainer is going to murder me but I’ve been craving mac and cheese for two weeks now so I best better feed that craving! So… a weird thing happened to me. I’ve been watching what I eat since the New Year trying to shed the last of the baby weight and some holiday pounds. I was down 7 pounds and just sort of stuck. 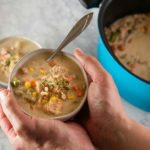 The week I made this and ate it… two pounds down. Coincidence? Possibly but…. hey, it worked for me lol. Beer is quite an interesting mix in but I can definitely see how it would elevate the flavor. It just adds a depth to the cheese flavor. It’s delicious. Hope you try it. Can’t wait to try this recipe. My entire family loves macaroni and cheese.